This breathtaking afghan was made by Diane in Arizona for her mother's birthday. Check out the beautiful lattice trim and the gorgeous shades of pink and red. Diane used 10 skeins of yarn including seven different shades of red. Warms my heart and makes me smile. Thank you Diane, for sharing your beautiful afghan and your incredible talent. 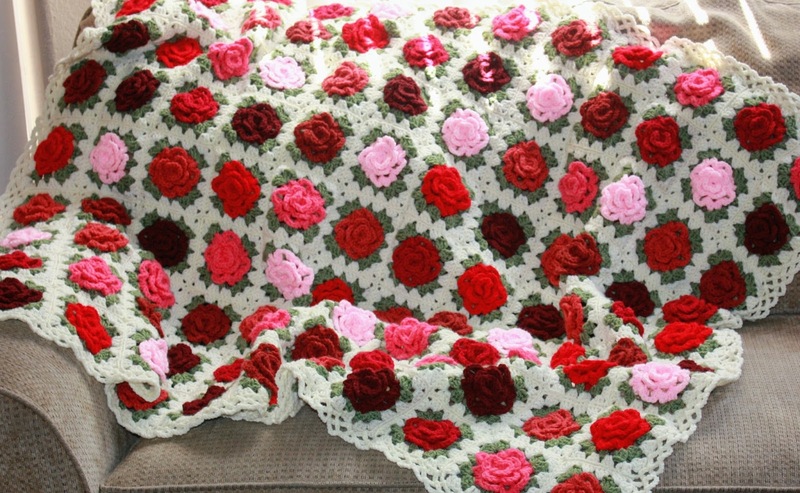 If you would like to make an afghan similar to this please click here to purchase the two-toned roses Granny Rose pattern or the Granny Rose pillow pattern in one tone per rose here. Crocheters never cease to amaze me with their talent and love!